Amer Anwar’s award-winning debut novel Brothers in Blood will be published by Dialogue Books on September 6, 2018. 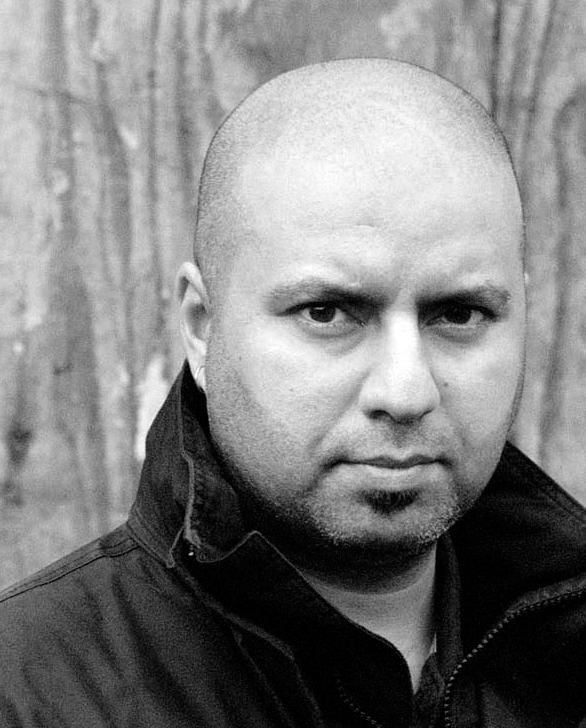 Amer, who graduated from Birkbeck with an MA in Creative Writing in 2010, talks to Aisha Phoenix about his journey to winning the Crime Writers’ Association’s Debut Dagger, cultural bias in publishing and the importance of diversity in literature. Congratulations on winning the CWA Debut Dagger Award for Western Fringes (now entitled Brothers in Blood). What did that win mean to you? It made me feel like what I was doing was right, that it had value. Even from the first chapter it’s obvious that Punjabi is spoken and the influences are there and the fact that that won, made me think that there is an appetite, a need for something different like this. The fact that that won the award really gave me a lot of self-belief. It helped me get an agent, which was another massive step. I felt there’s people who believed in this. It was eight long years working on it. If I hadn’t won the award and I didn’t have an agent, anywhere along that road I could have given up, but I didn’t and I think a lot of it was due to the drive that winning an award and getting an agent gave me. What led you to write your novel? My whole purpose in writing the book was to reflect the area in which I grew up and the people I grew up with because they were not represented in fiction. I had hung out in Southall with my friends and I’d met characters and heard stories and I thought these guys are so funny and these stories are so great, someone should set a book in this area, like a crime thriller. I always thought if someone writes that, I’ll buy it and I’ll read it, but no one ever did. When I finally thought I was going to write a book, still nobody had done it, and I thought right, I want to set something here. I’ve had the idea for this book since I was 17, so that’s about 30 years that I’ve wanted to do this and I’ve worked towards doing it and by the time the book comes out next year it will be ten years just on this one book. Can you describe the process of writing Brothers in Blood? I had a crack and it didn’t work. Then a couple of things happened, I thought let me read a book that’s going to inspire me. One of my favourite authors is Elmore Leonard, so I read an Elmore Leonard book that I hadn’t read before, specifically to try and see how he did what he did, and there’s a film, Payback with Mel Gibson, and I really like that film, and that happened to be on TV at the same time as I was reading the book and planning to write the novel. The book, the movie and the story I wanted to tell all gelled and I wrote this first chapter. I submitted it to the class and got a really good reception. For a couple of years I’d known about The Crime Writers’ Association’s Debut Dagger Competition, which is for aspiring writers to submit the first chapter of a crime novel. I thought I’m going to enter it. So I sent off the first chapter and then didn’t think anything about it. At that point the two-year course was coming to an end and I was thinking about doing an MA. I applied to Birkbeck. I went to the interview and I submitted the first chapter that I’d sent to that award. They really liked it and they accepted me onto the MA. Around about that time I got a letter and it said, “You’ve made the shortlist for this award.” I was gobsmacked. That was more than I’d ever expected. What impact did winning the CWA Debut Dagger have on your writing journey? It took me two-and-a-half years to finish the first draft and then another two-and-a-half years of editing before it was ready to send to the agent. So five years for her to get anything to read. They got back to me and there was a lot they liked, but there was room for improvement. After five years I thought, that was it, but it came back. I started to edit, and then I left it for a year, and then I went back to it and the year had served me pretty well because I wasn’t close to it anymore. I was much more ruthless with the edit and where it had been a bit lighter in tone, it got a lot darker and meaner. I submitted it back to the agency and they really liked it and it went through one more draft and some tweaks to tidy it up. How was your novel received by publishers? I was like, hang on, so why are you not taking it? The reasons were, “It doesn’t quite fit our list.” “I don’t think we’ve got the right mission plan for it.” But the most telling comment was, “I could never envisage it breaking out to a broad audience.” Then you’re thinking, if all those other things are right, what’s the only thing that no one is mentioning? The fact that it’s got all Asian characters and it’s set in an Asian community with loads of overtly Asian references. That could be the only thing. There was all this stuff about diversity in publishing at the time …and it was just sort of given lip service really. I was thinking, there is a diverse book, it’s won an award and you all think it’s well written and yet it’s still not getting published. My agent was really frustrated as well. She said, “Maybe just put it in a drawer and move on and start writing the next one.” But it bugged me that I had this book that everyone thought was good. I thought if it’s a good book then I’d like people to read it. You initially went down the self-publishing route. How did you go about that? Most of the reviewers were white, but I thought if I could make a big enough ripple with Asian readers, the ripples would spread outwards, that was my thinking and it worked. How did you secure your publishing deal? I was at an event at Waterstones Piccadilly put on by the Almasi League, which is a writing group for people of colour. I got chatting to Courttia Newland and he said, “It sounds like nothing’s changed since I first got published.” He said, “Do you know Sharmaine Lovegrove?” He introduced me and I told her about the book and she said, “Why don’t you come in for a meeting?” She had just been brought in by Little Brown to set up Dialogue Books, which is this imprint dedicated to finding marginalised authors and people who aren’t getting published by the traditional publishers because they don’t fit any particular category. The next day, I got an email from my agent, Jane, saying, “I think they’re going to offer you a two book deal, which is fantastic news.” A couple of weeks later, the contracts came. Now I have a proper, big, publishing deal. Brothers in Blood opens with Zaq, fresh out of prison, getting hauled in to meet the owner of the company where he works and being coerced into hunting for the owner’s runaway daughter. Can you tell us a bit more about your novel? Zaq is an ex-con who’s just come out of prison. He’s got a dead-end job at this builder’s yard. He just wants to keep his head down and get his life back on track. He hadn’t been in trouble before, but he ended up going to prison and then he is forced into looking for this missing girl. At first he thinks it’s just straightforward, find her, that’s it, then he can go back to doing what he’s doing, but things are never that simple in a crime story. It turns out that people aren’t telling him the whole truth. It’s set in Southall and Hounslow and it’s predominantly Asian characters and Asian influences. I don’t think there’s anything quite like it that’s come out. Who do you hope will read your novel? 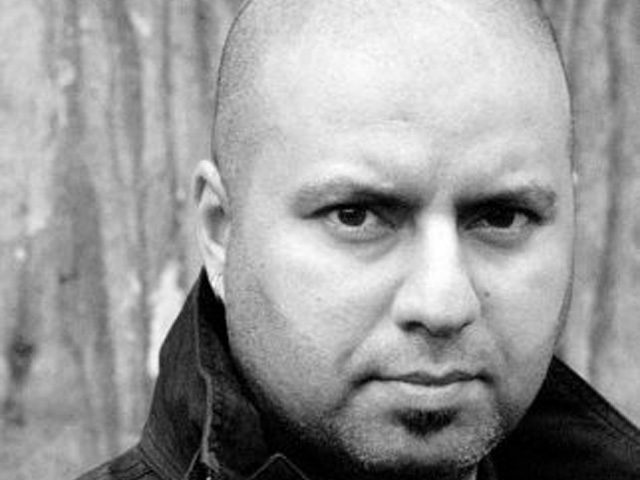 Are there many British Asian crime writers? Fortunately there are a lot more Asian crime writers now appearing on the scene. There’s Khurrum Rahman, whose book East of Hounslow has just come out and is set in a similar area to mine; Abir Mukherjee who just won the CWA Historical Dagger for his first book, which is a crime thriller set in India; Vaseem Khan; A. A. Dhand and Alex Khan. They’re all coming through and they’re making a real splash. Do you think it will change the way crime fiction develops? I think it will. Somebody once said, “If publishers see a bandwagon, they will jump on it.” I think as soon as they see that people are interested in something a bit different and they see how people are responding to Asian characters and Asian influences that’s coming into crime fiction, then they may think, this could sell, we can make some money from this and I think that commercial imperative is what will drive them more than anything else. The diversity issue is worthy, but when it comes down to the bottom line, money talks. Hopefully it won’t just be flavour of the month. Asian people don’t just write crime, they can write anything, any genre with those characters. Reading is all about discovering new characters, new worlds, new viewpoints and empathising with those characters who may be very different from yourself. I think readers will embrace that, perhaps a lot more willingly than publishers might. Do you think that’s partly a reflection of the fact that publishing isn’t diverse? The danger is there’s a cocoon around some of the people in publishing and they may have a little bit of difficulty seeing outside of that. It’s about inclusivity. It’s about including people from all walks of society. The better that literature reflects society, the more people will understand each other and I think it will break down a lot of the barriers. Especially with everything that’s going on at the moment in politics in this country and around the world. I think understanding different people and different cultures can only be a good thing and that’s something that is to be celebrated and encouraged. How has your novel been received by Asian readers? One of the comments I’ve got is that they’ve never read a book that’s had Punjabi in it, characters speaking it and swearing rather a lot in it as well. It feels relevant to that community and Asian readers have read it and they’ve been recommending it to other Asian readers and non-Asian readers. To have a book rejected outright by all those publishers and then to get that response … it’s been amazing. Implicit in the first three chapters of the novel are social critiques around issues such as honour and shame. Are you attempting to offer a more nuanced view of complex topics that are often sensationalised in the media? I just wanted to reflect things in a realistic way. People hear about honour killings and things like that and it’s a thread that runs through the story, but it’s not the main focus. It’s mentioned and the characters all understand it because it’s kind of implicit. They grew up with it, and for me it was something I grew up hearing about and knowing about through friends and family. People have an understanding of this, and where the honour stuff comes from, and this whole thing of izzat, which is respect. Respect and honour conflate really. Something that I’m concerned about are gender roles in Asian society. I’ve seen that growing up, and having gone out with people who that’s affected, and now I’ve got a daughter. I wanted to highlight that the gender thing needs to change, and more so in India and Pakistan. It’s very patriarchal and women don’t always have the same kind of rights and that’s mentioned in the book. I’m not trying to bang on about it, but it is something that I feel quite strongly about and I’ve touched on it in the book. People who read it said, “These guys are British Asian, but yet they seem so British.” And I was like, “Well hang on, they’ve grown up in this country, like myself and my friends. The only thing is they have the added cultural aspects from India: the religious aspects and the cultural aspects from where their parents have come from, so it’s just something more, something extra, but they’re still very British.” These aren’t your stereotypical Asian immigrants. I wanted to steer away from that. From the UK crime literature you read, how do you think Asian characters are depicted in literature by non-Asian writers? Generally it’s like having a token character represented, like ticking a box. We’ve got an Asian character there just to make the book a bit diverse. There was a film out recently called City of Tiny Lights, based on a novel by Patrick Neate, whose main character was a British Asian detective. That was kind of interesting. It was done well, but you’ve still got someone else’s version of what it’s like to be a British Asian. That’s not to say only Asian people can write Asian characters, I don’t think that’s necessarily true, because any writer that has empathy can write a character. If a male can write a female character, why can’t they write any other character, but I think there might be certain issues around what it’s like growing up in a minority. I suppose maybe if they know people and they’ve done their research and they can get under the skin of that experience, then why not, but it’s not as easy as just making a character a different colour. Also, if you’ve got authors of colour who can write those characters and not get published, then how come an author not of colour can write those characters and get published? That just seems a little bit the wrong way round to me. Elmore Leonard, Richard Stark, Joe R. Lansdale. Those are the three main ones that have really influenced my writing. The one who really made me want to write was Raymond E. Feist, who is a fantasy author. He wrote a fantasy book called Magician that I read in 1985 or 1986, when I was about 16 or 17. I got to the end of that book and I felt very emotional. I thought, wow. If I could write something and make someone feel the way this book has made me feel, I think that would be the best thing in the world to do and I never forgot that. The last line in my book is directly influenced by the last line in that book. The feeling I wanted to try and get, I wanted to try and do that. I am writing full time at the moment, but without a full-time income. I want to make a go of this. Especially with the second book. I had eight years to write the first one, the second one you only get a year. So to come from eight years of taking your time and then suddenly having that pressure, especially if you’ve got a full-time job and other commitments around family, is very difficult. I wanted to afford myself enough time to do a second book justice. You see authors who write until they’re really old just because they love it so much. It’s something that I’d love to do. I don’t see myself doing anything other than that. Aisha Phoenix is a Creative Writing MA student at Birkbeck College. She writes fiction and poetry and has had work published or forthcoming in: Litro USA online, Word Riot, the Bath Flash Fiction anthology and Peepal Tree Press’s Filigree poetry anthology. She has a PhD in Sociology from Goldsmiths, University of London. Aisha Phoenix is a MIROnline features writer. She tweets as @FirebirdN4. Amer Anwar grew up in West London. He has worked as a warehouse assistant, a comic book lettering artist, a driver for emergency doctors and a chalet rep in the French Alps, before eventually settling into a career as a creative artworker and graphic designer and spending over a decade producing work, mainly for the home entertainment industry. He holds a Certificate and an MA in Creative Writing from Birkbeck, University of London. Western Fringes, which is now to be released as Brothers in Blood, is his first novel and was the winner of the prestigious Crime Writers’ Association Debut Dagger Award. He is also the recipient of an Eric Ambler Award from the Society of Authors' Authors' Foundation and is currently working on a follow up to Brothers in Blood.